Super old internet picture… but I just saw it for the first time. I laughed, and I thought you might too. Reminded me of “Sir Hiss” from Disney’s Robin Hood…an all time classic. Sire! Sire! They may be bandits. 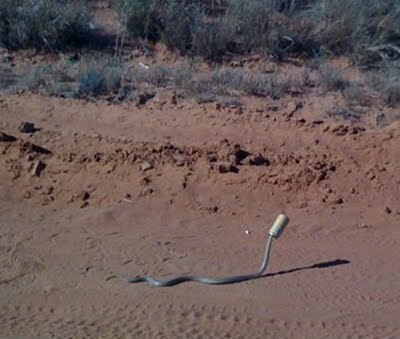 This entry was posted in Movies and tagged robin hood snake, sir hiss, sir hiss robin hood, snake can, snake can on head. Bookmark the permalink.